Fernando Botero (1932, Medelin, Colombia) started his series of well-formed people in 1956 and gathered world fame with these. From 1960 onwards he lived in New York and developed his career from this international capital of the art world. In addition to his paintings which feature people, he also paints still lives with objects of monumental proportions. In his paintings with political or religious subjects it is visible that he still has strong emotional bonds with his country of birth. 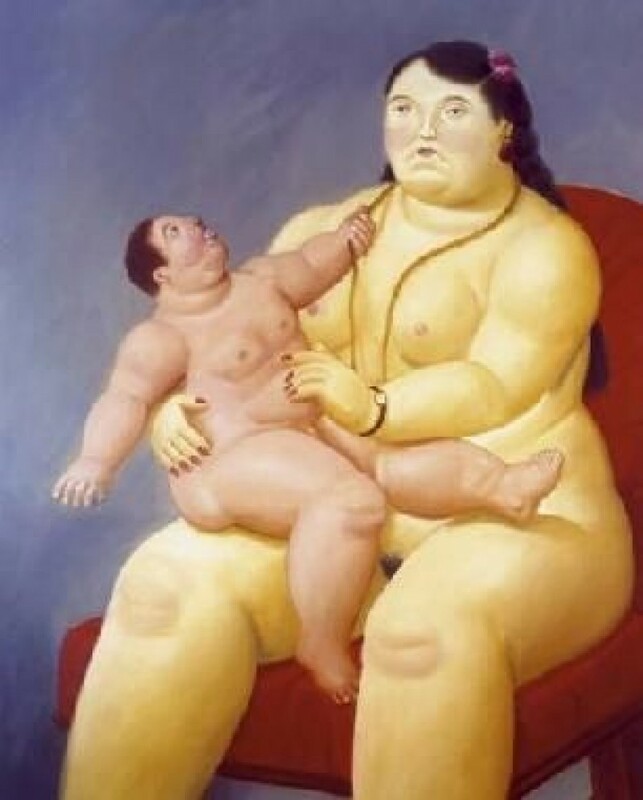 In 1973 Botero moved to Paris where he started sculpting as well. These pieces show unnatural balances between bodies and objects and are all very smoothly surfaced. Botero also has a workshop in Florence and moves between the USA, France and Italy.